Trecastagni is an enchanting village in the hills on the south side of Mount Etna. From the small town it’s possible to reach lots of wonderful sites that take you to the lunar landscapes made of lava stone, the mountain paths and shelters, or downwards towards the Sicilian coasts, the fishing villages or the wonders of Catania and Acireale’s Baroque style buildings. 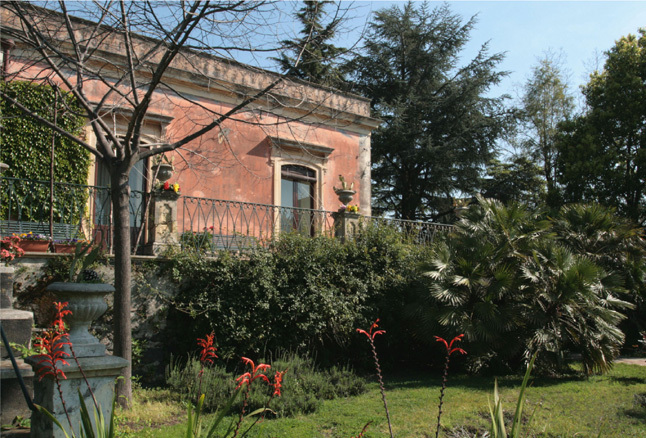 Casa Billotta is a nineteenth century house, which looks like an antique country abode with its vineyard, its vegetable garden and its park; but the house is right in the heart of the village a few minutes walk from the centre. Relaxing green areas have been created with the love and commitment of many generations of the family who own the house. 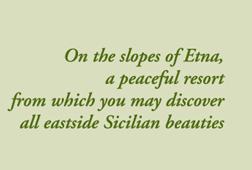 The Sicilian owners are keen lovers of nature and the mountains and love their traditions and their past, with great knowledge of their Island and it’s lands; they will be willing to tell you interesting stories about typical Sicilian places and things. Their discreet but helpful presence will enrich your itineraries with simple and concrete information.